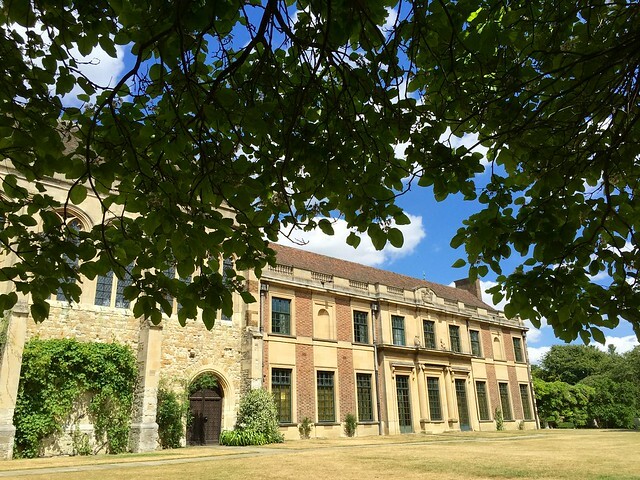 Eltham Palace, in South London, isn‘t a palace at all (well, except for a small bit of it). 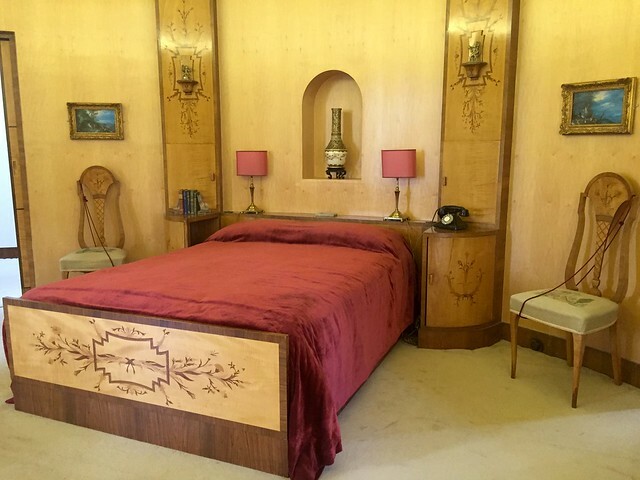 It’s a house, built in 1933 by Stephen Courtauld ( younger brother of Samuel Courtauld who founded the Courtauld Institute) and his wife, Virginia. 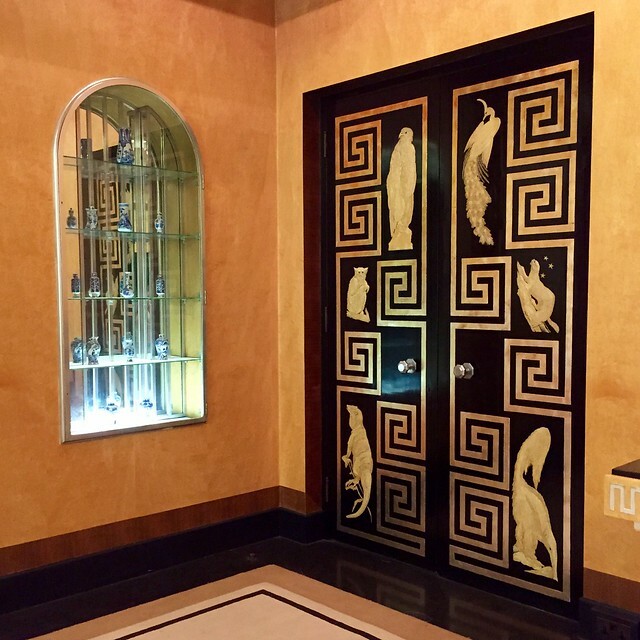 They were both Art Deco fanatics and the house they built is a masterpiece of Art Deco design. It’s now been beautifully restored by English Heritage. The original palace belonged to Edward II and was used as a royal residence up until the sixteenth century. But then Greenwich Palace was built, Eltham fell out of favour and by the middle of the seventeenth century it was a ruin. All that’s left is the old Great Hall, which the Courtaulds incorporated into their spectacular new house. The house, by the architects Seely and Paget, was built using a red brick design with Clipsham stone dressings inspired by Hampton Court and was designed to complement the great hall. The circular entrance hall, lit from above by a glazed dome, is by Swedish designer Rolf Engströmer. The walls are covered with a veneer of Australian blackbean wood decorated with figurative marquetry of a Viking and a Roman soldier, set against background scenes from Italy and Scandinavia. The dining room, by Italian designer Peter Malacrida, has bird’s-eye maple veneer walls and an aluminium-leaf ceiling. The black and silver doors feature animals and birds drawn from life at London Zoo. Upstairs it feels rather like being on a ship, which is not surprising as many of the bedrooms reflect the ‘Cunard style’ made popular by the fashionable cruise liners of the time, with built-in curved furniture and smooth veneered surfaces. 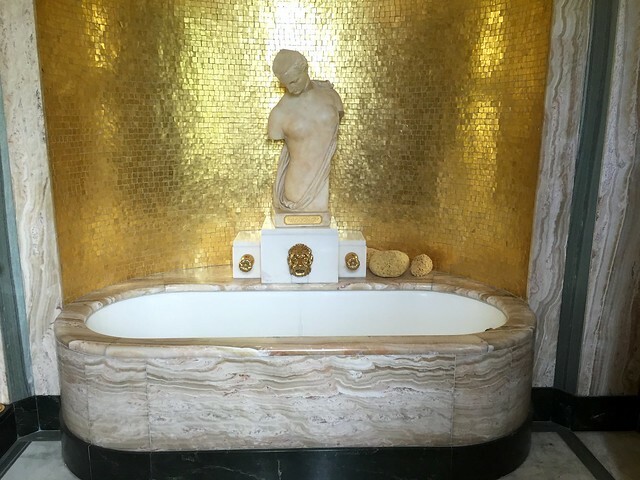 Virginia Courtauld’s bathroom is lined with gold mosaic and onyx, complete with gold-plated bath taps and a statue of the goddess Psyche. 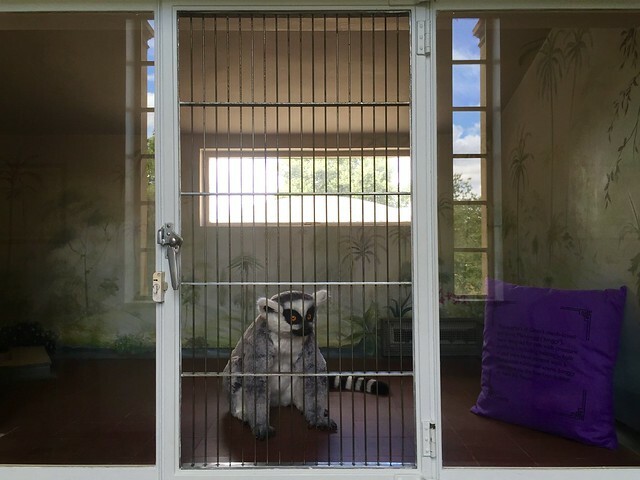 Mah-Jongg, Virginia’s ring-tailed lemur, had the run of the house. There’s a model of him in his upstairs heated cage with a tropical mural and a ladder down to ground level. 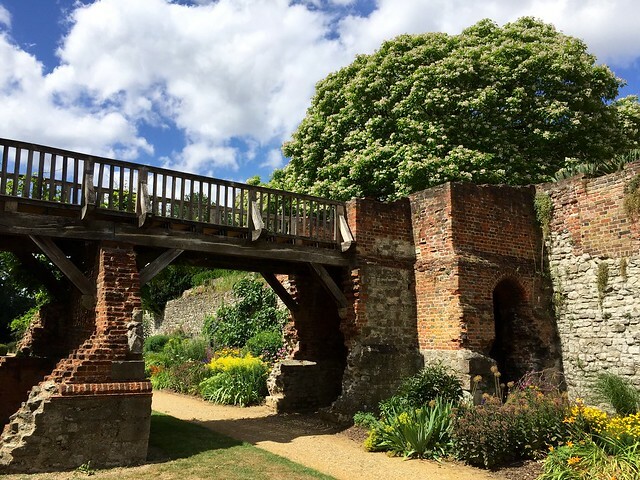 The nineteen acres of garden incorporate the remains of the medieval palace, including the north bridge, moat walls and buttresses.The dry south moat is crossed by a timber bridge designed by Seely and Paget which rests on 16th-century brick piers. The long herbaceous border at the foot of the south moat wall was replanted in 2000. The Courtaulds stayed at Eltham for most of the Second World War, but left in 1944 and emigrated to what was then Southern Rhodesia and is now Zimbabwe. Their palace housed Army education units until English Heritage took over in the 1990s. I went with my friend Yannick, who loves Art Deco and leads tours of Art Deco buildings in London. 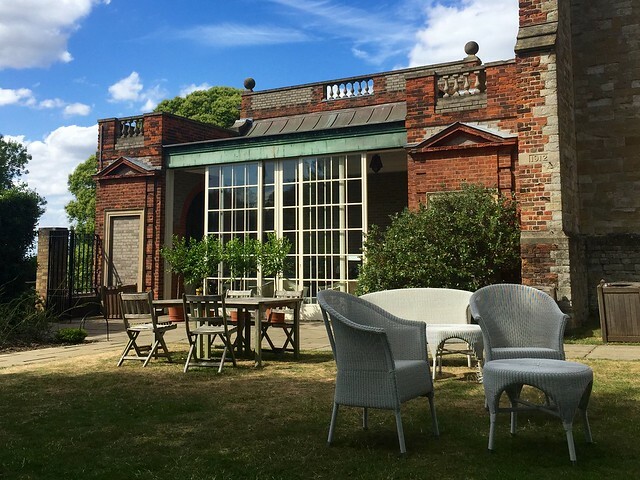 By the end of our visit we were in raptures and much in need of tea on the lawn by the Orangery. 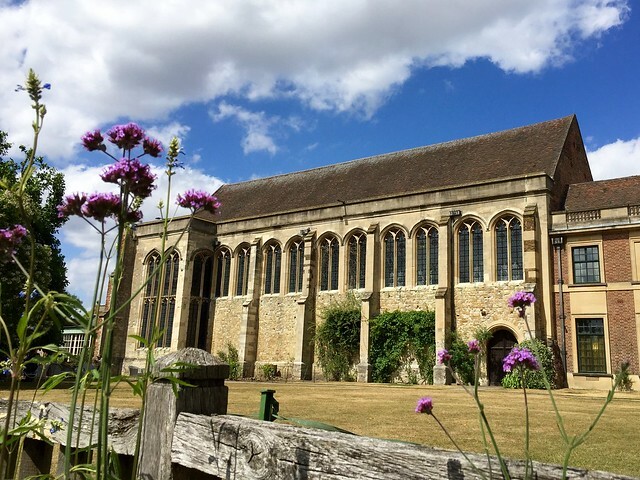 Eltham Palace is close to Mottingham station, half an hour by train from Charing Cross. Check the English heritage website for prices and opening times. 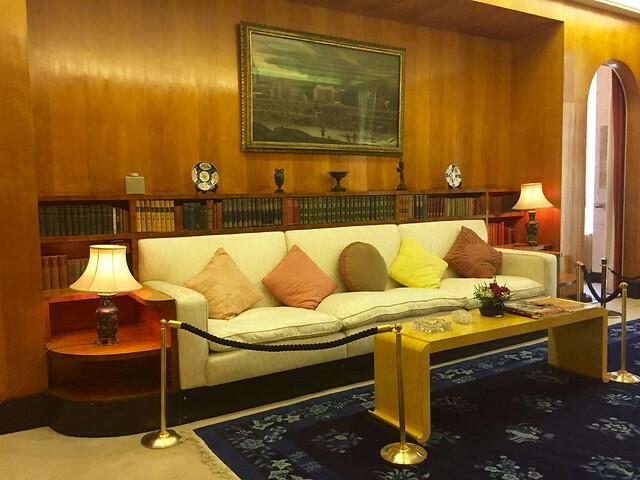 This entry was posted in Design, Historic Houses and tagged Art Deco, arts, Courtauld, Cunard style, Eltham Palace, gold, interior decoration, lemur, London, veneer by Fran. Bookmark the permalink. Yes, it is a beautiful place to visit – and you found the sunshine! So sunny last week – seems like an age ago! 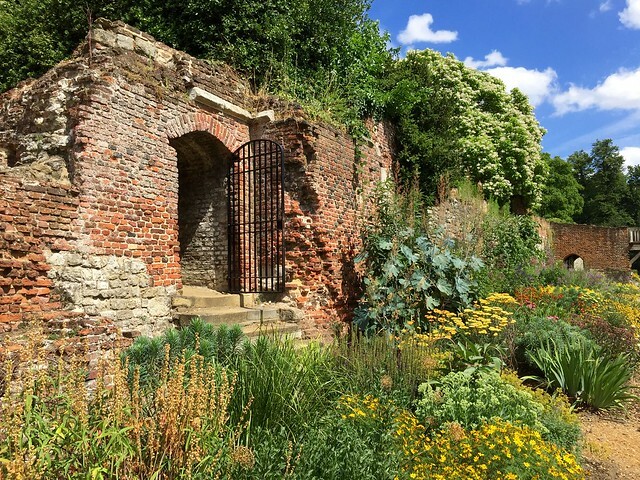 Great photos and one of south London’s little secrets! Don’t you think Eltham Palace could be used as a case study showing how architects can incorporate/extend an historic building sensitively and interestingly without wallowing in pastiche? 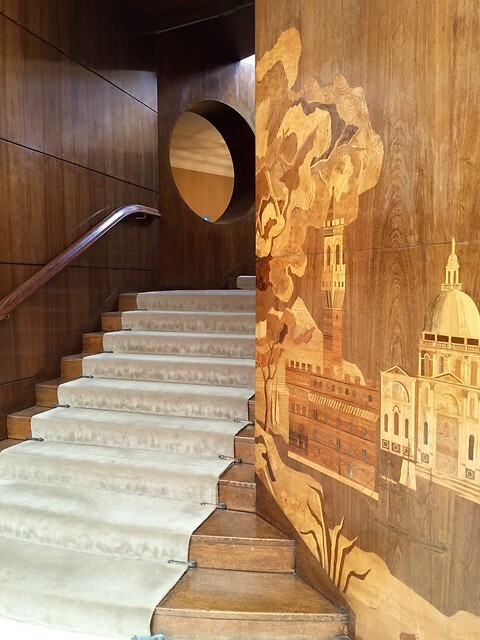 I love Eltham Palace – both the deco part and the Great Hall. A gem of south-east London! I took lots more photos – it was hard to decide which ones to use. I LOVE your posts! They inspire me to explore the other parts of London I wouldn’t have thought of and your photos are gorgeous! Thanks! I’m always happy when people discover new places through my posts. This is truly a most wonderful place With the best of art deco and medieval throWN together. I lived a short distance from it for years and you have done it proud. In our days we could visit the basement where an in circuit vacuum system was in place Plus billiard room. Mrs courtauld was Italian hence the Florentine features of the large living room. She was also one of the first ladies.to sport a tattoo. It must have been a heartbreak for both to leave the place for then idyllic Rhodesia because of the incessant bombing. Yes, you can still visit the basement today, plus lots of other rooms I don’t show on the blog post. Well worth a visit! Long live the English eccentric!